Weddings can often be the best day in someone’s life, so it’s vitally important that all the elements go perfectly smoothly on that special day. Efficient transport might not be as romantic and eye-catching as a beautiful cake or flower arrangements, but it can be just as important to the success of the day. Nothing can ruin the mood more than having to wait around for hours for the bus to come, which is why Bankstown Coaches offers efficient, reliable bus hire for weddings. If you’re moving the guests along from one venue to the next, you want everything to run smoothly, and so you need a trusted company to handle transportation for the day. 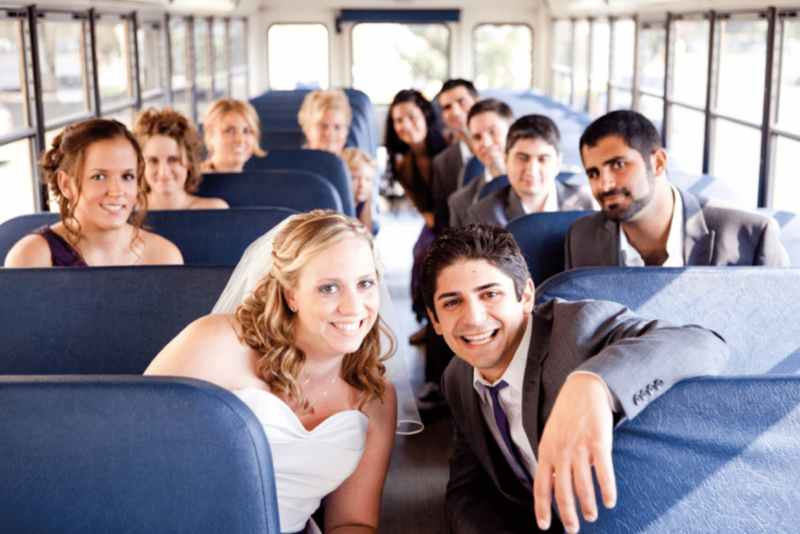 Opting for Bankstown Coaches to arrange your wedding bus hire is the smart choice. Wedding planning is stressful enough as it is, so why not let us take care of the transportation and leave you free to concern yourself with other things? We can’t guarantee that the bride won’t have a wardrobe malfunction or that the groom doesn’t oversleep, but we can guarantee that we’ll have comfortable, fast transport available when it’s needed. Get in contact to find out more, and book your very own bus today.